Rayna Stone is an eighteen year old girl from a small Alabama town that just wants to save a little money for college. In order to do that she has to find a summer job. The problem with that, the only place that is willing to take her is the upscale golf resort of The Landing. This was not her idea of a summer job, being around snobby, rich folks, but when she meets eyes with the owner’s son, Liam, she starts to see the brighter side of things. That is until she’s seeing things that she can’t quite explain and having dreams that are haunted by a being she calls The Shadow. 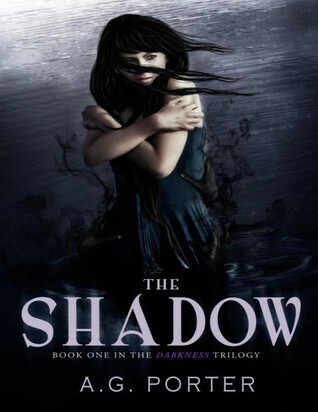 The Shadow begins to show her things about a few missing girls, that she wished she had never seen. Another chilling fact, her dreams seem to be coming true. As if that isn’t enough, she learns that this ability of hers gives her an insight into what others around her are feeling. Soon after this, Rayna learns that Liam does feel something for her, but even though she wants to tell him she feels the same, something is warning her to stay away. Not because he is dangerous, but because she is. A.G. Porter is the author of The Darkness Trilogy, a YA Paranormal Thriller. She is an Independent Author (Indie Author) who enjoys writing scary stories as much as she loves reading them. Currently, A.G. is working on the last book in the trilogy. When she isn’t writing, she’s either taking pictures, reading, making nerdy jewelry, watching movies or spending much needed time with her family. A.G. lives in New Hope, Alabama with her husband, Billy, stepson, Brenton, and their 4 dogs. Send a link to the book you want featured to donna @ girl-who-reads.com. 1 link per author, NO erotica. The link can be to a retail site, Goodreads, or your website.